Beryllium (pronounced ber-ill-ee-um) is a brittle, gray metal, and the 4th element of the periodic table. 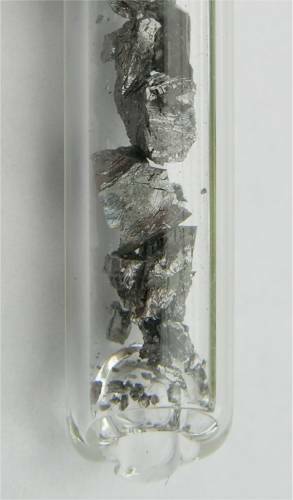 Beryllium is quite rare in the universe, and so can be very expensive. It is used to make screens to be used in X-ray machines. Because of its light weight properties, it is also used to make high-speed aircraft, and satellites. Mixing a tiny amount of beryllium with copper, will make an alloy that is 6 times stronger than copper, so it is also used to make tools, springs, and some surgical implements. The Beryllium Zone is a General Science Zone, where we will meet five scientists from five different areas of science. In this zone there is one scientist looking at the sugars that coat the surface of cells, trying to see if changes in the sugars can indicate when the cell is about to die, and another looking at ways to get instant diagnoses from a single drop of blood. There is an environmental scientist who puts out underground fires, locates water supplies for towns, and has prevented a wind farm from falling into a cave system. There is a scientist looking at air pollution and a chemist researching tiny machines, and getting them to make electricity.